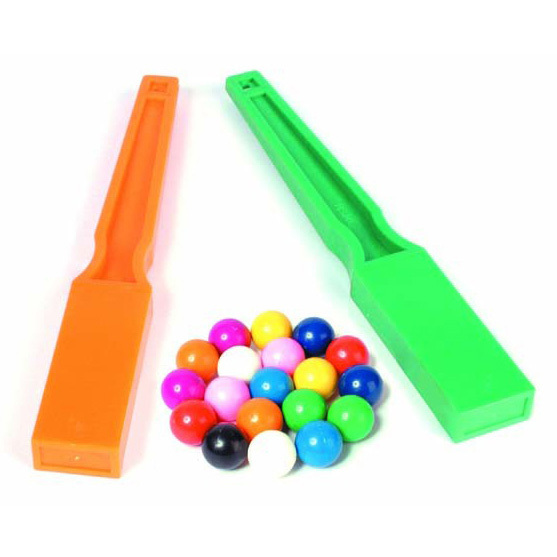 This magnetic set has everything you need and includes 2 wands and 20 marbles. This is a sure favourite with Kids Develop Store. 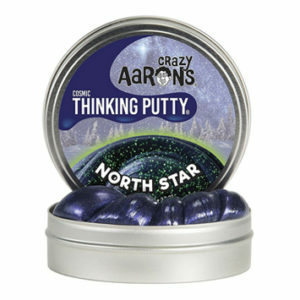 Provides a highly enjoyable sensory play experience as children explore the wonder of attracting and repelling actions. 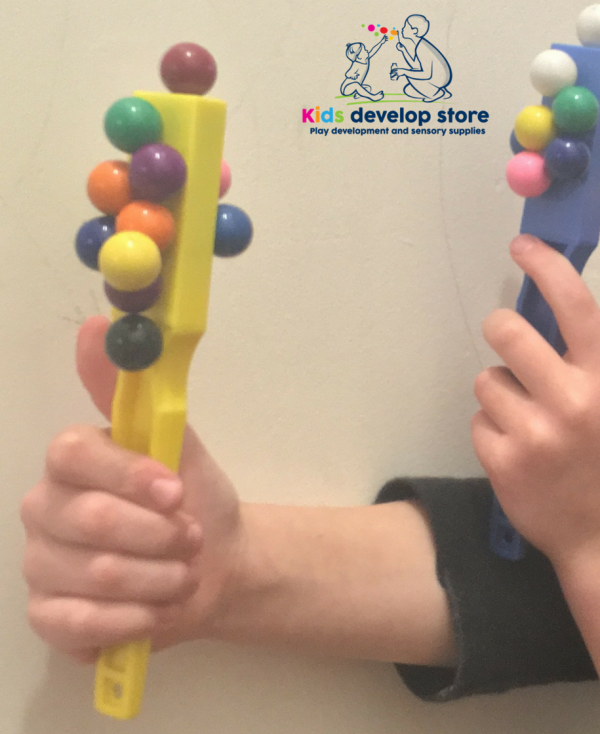 There are so many goals that can be achieved through magnetic wand play! Ideal for building wrist and hand control, parallel play, turn-taking and more advanced game play skills. See activity tips for ideas. 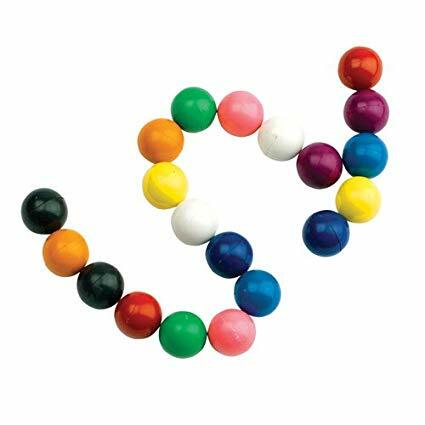 Floor play: Roll marbles back and forth on smooth floor surface between two people and ‘catch’ or ‘block’ marble with wand! Scatter marbles around floor. 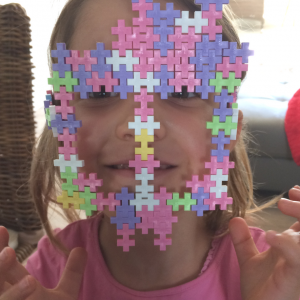 One play partner calls out a colour. Do commando crawling with wand and collect corresponding marble! Table play: Roll marbles down table to child standing at end; trap with wand before marbles roll off table. 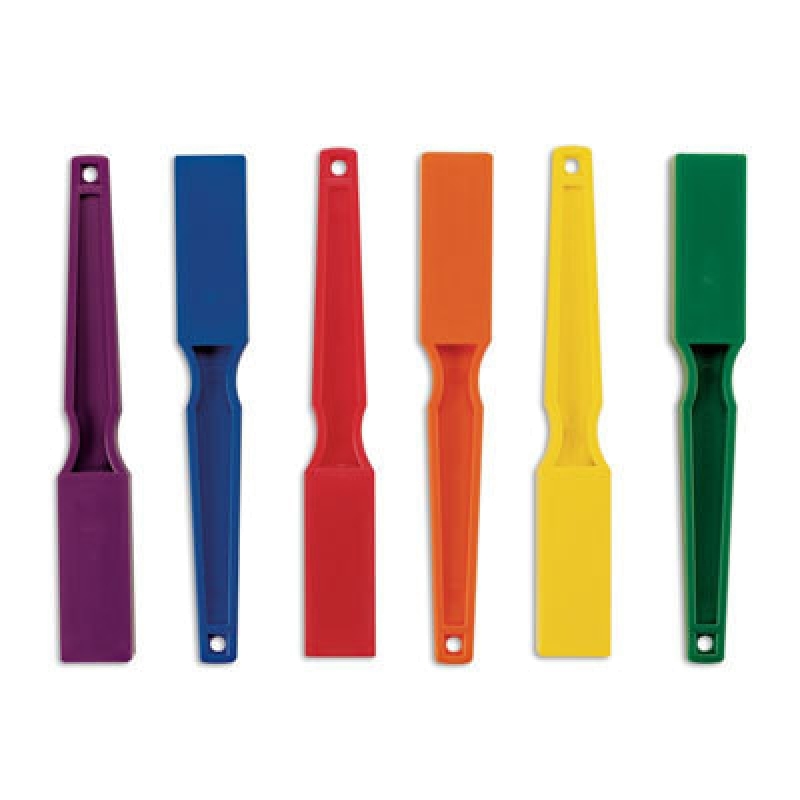 Increase complexity of game by calling out “left” or “right” (child’s right hand or left hand) or colour of wand to use! Retrieve marbles over yoga ball with wand. Great for weight bearing and crossing midline of body! Explore different materials with magnetic properties like paperclips and magnetic chips! Includes 2 x wands in assorted colours. Two different colours will be provided.